We’ve had some great times together. As you will probably know by now, I have spent much time in confusion over the years. The nights I spent craving you, but I knew you were so bad for me. I knew if I had you, I’d just want more. 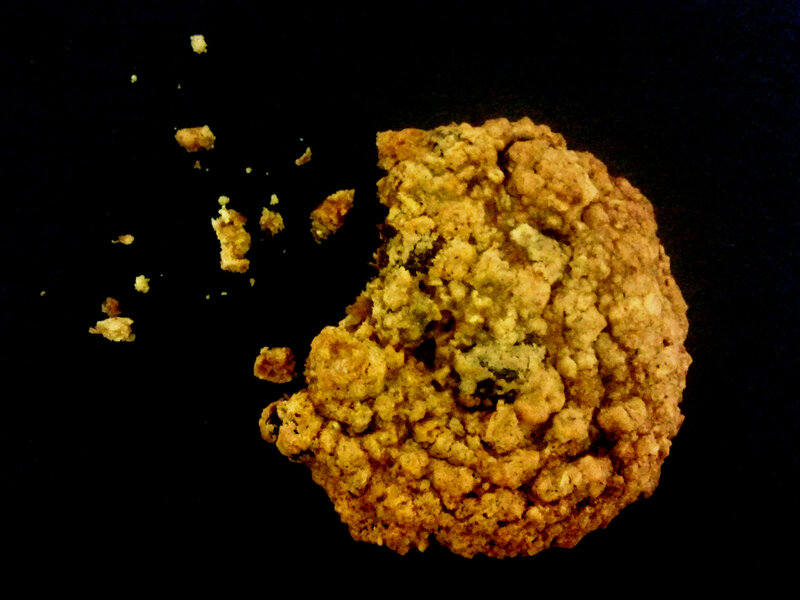 You know I will always love you, but Oatmeal Raisin has truly won my heart. With it’s high fibre, appetite and blood pressure controlling and satisfying dose of rolled oats along with naturally sweet, juicy, raisins, rich in antioxidants and with digestion aiding properties; I can enjoy it with ease. No doubt I’ll see you next time my heart’s broken. With an electric mixer or wooden spoon, cream together the margarine and sugar until airy and smooth. Mix in the flax egg and vanilla until combined well. Stir in the oats, flour, raisins, baking powder, bicarbonate of soda, salt and spices until fully combined. Drop round scoops of the dough approximately 2 inches apart onto a lined baking sheet. Roughly 2 heaped tablespoons of dough per cookie. Bake for 11-12 minutes turning the baking sheet around half way through the baking time until the cookies are golden brown. They will feel soft still. Remove the cookies from the oven and allow them to cool on the baking sheet for a couple of minutes to firm up before transferring them to a wire rack to cool. Eat warm or at room temperature, if you can wait. This entry was posted in Cookies, Egg-free, vegan and tagged baking, cookie, dairy free, egg-free, healthy, healthy recipe, oats, vegan, vegetarian. Bookmark the permalink. I am SO looking forward to giving this recipe a try sometime soon. 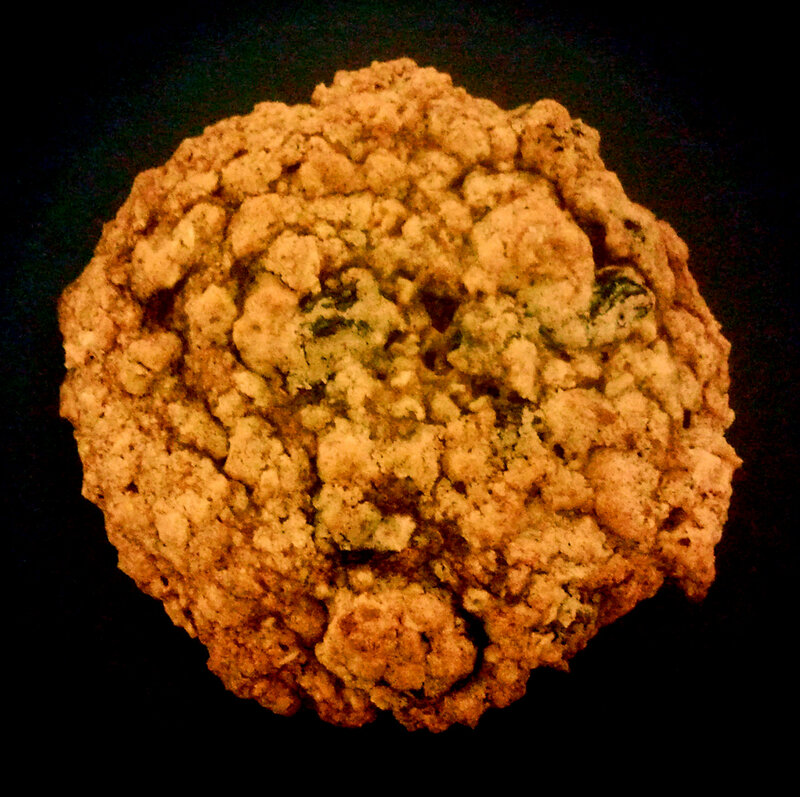 I recently lost my oatmeal raisin cookie recipe (an old, omni one I converted) so a new one is in order for sure. I’m still searching for the perfect oatmeal raisin cookie, and I’m so excited about these, since they’re vegan, too! Can’t wait to make these! These look delicious 🙂 I also enjoyed reading your letter to the chocolate chip cookies of the world – its something I struggle with too. cute post! I’m sorry, I love oatmeal raisin way more than chocolate chip… This recipe looks great. I am going to pass it along to my friend who loves oatmeal raisin cookies but is on a “no dairy” run. Do you follow a particular recipe? I’d love to give it a go! It was convenient b/c we already had the Tovolo ice cube tray. The only specialty ingredient I couldn’t find in stores was liquid lecithin (ordered on Amazon). Used almond milk (out of soy), it curdled just fine. Opted for a more spreadable butter so swapped out 1 tbsp of the coconut oil with 1 additional tbsp sunflower oil. Hope it works for you! We’ll probably be making more soon. No one will be surprised to see that I’ve nominated you for the Super Sweet Award for bloggers! Can’t wait to try this recipe, still looking for a fabulous oatmeal raisin cookie recipe, so far it’s been a bust! 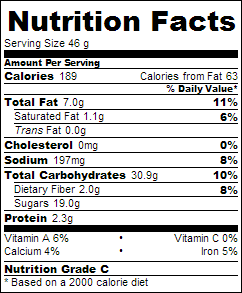 I have never tried the flax egg yet either have just been using applesauce as the “egg”. These are a winner! The flax egg is a great way to add nutrition and it works great in recipes like this! Mmmm! These look amazing! I supposed you could use GF oats to make these GF too! They look like they had a really nice rise and good chewy texture!